​Exciting savings for your clients and their employees: through July 31, eligible employees get an Extra $40 to spend on Calvin Klein, Cole Haan, and Salvatore Ferragamo frames.No extra paperwork, no hassle, just fabulous frames. The extra $40 is automatically added to the current frame allowance by their VSP® doctor when they select an eligible frame brand. ​​Download ​PDF.For questions, please ​contact a member of your B&P Sales Team - 888.722.3373. Rates January 2017 Rate Updates Signature Plans ​Non-Voluntary: 2.0% increase Voluntary: 3.0% increase ​Signature 4-Tier Rate GuideChoice Plans ​Non-Voluntary: 1.5% increase Voluntary: 3.0% increase​Choice 4-Tier Rate GuidePlans & Benefits ​Direct contract for 5-99; no monthly administration fees. Choose between Signature and Choice plans, Non-Voluntary and Voluntary. Choice plans can offer a 25% savings over Signature plans with a minor difference in network providers. Exciting savings for your clients and their employees: from November 1 through March 31, eligible employees get an Extra $40 to spend on Calvin Klein and Cole Haan frames. No extra paperwork, no hassle, just fabulous frames. The extra $40 is automatically added to the current frame allowance by their VSP® doctor when they select an eligible frame brand. Did you know that only one in ten* employees get the preventive screenings you'd expect during an annual medical visit? A vision plan with high enrollment and engagement can help build a bigger safety net for early illness detection. 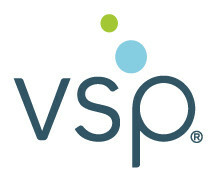 Great savings and access aside, VSP doctors are often the first to detect early signs of chronic conditions, so it's no wonder that VSP has a 23% higher enrollment than any other vision carrier. VSP knows that healthy and happy employees is one of your clients' top priorities. It's theirs too. That's because they're not just a vision carrier, they're a healthcare company focused on the total health and wellness of your clients' employees. With VSP Simple Values – a new Exclusive Member Extra, you can do just that. VSP has announced a moderate rate increase for January 1, 2017 through December 31, 2017 effective dates with no changes to benefits or underwriting. RATES Signature Plan Non-Voluntary: 2.0% increase	Voluntary: 3.0% increase Choice Plan Non-Voluntary: 1.5% increase	Voluntary: 3.0% increase BOOK RATES Book rates for 2017 effective dates are provided below and are also available on the b&p website.